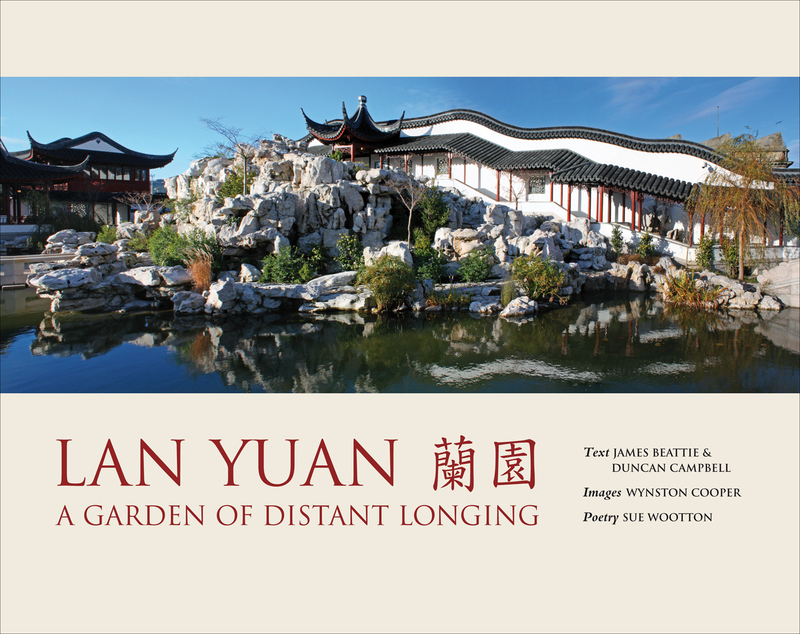 The Shanghai Museum and the Dunedin Chinese Garden Trust have just published a book on Dunedin’s Chinese garden: LAN YUAN 蘭園: A GARDEN OF DISTANT LONGING. Written by Dr James Beattie, a Senior Lecturer in History at the University of Waikato, and Duncan Campbell, of the Australian National University, the book features poetry by Sue Wootton and photography by Wynston Cooper. Lan Yuan tells the story of the world’s southern-most Chinese garden, a garden that was conceptualised in New Zealand, designed and built in Shanghai, before being shipped 13,000 kilometres to Dunedin. Lan Yuan thus connects two different histories, traditions and peoples. In following the garden-building principles of seventeenth-century China and in acknowledging the history of Otago, this beautiful garden both evokes the memory of the Chinese gold miners who reached New Zealand in the 1860s and confidently looks forward to the strengthening of the New Zealand-China relationship. This lavishly produced book – which contains over 100 colour images – invites readers to linger in the world of Lan Yuan, and to inscribe the garden with new meaning. Lan Yuan is available for purchase from University Book Shop (Otago), Toitū Otago Settlers Museum, or by emailing Adrian.Thein@dn.octa.co.nz, and is priced at $29.99. The NZHA congratulates James and his co-contributors for completing this wonderful publication. If you are visiting Dunedin for the upcoming NZHA Biennial Conference please take the opportunity to visit the garden in person.